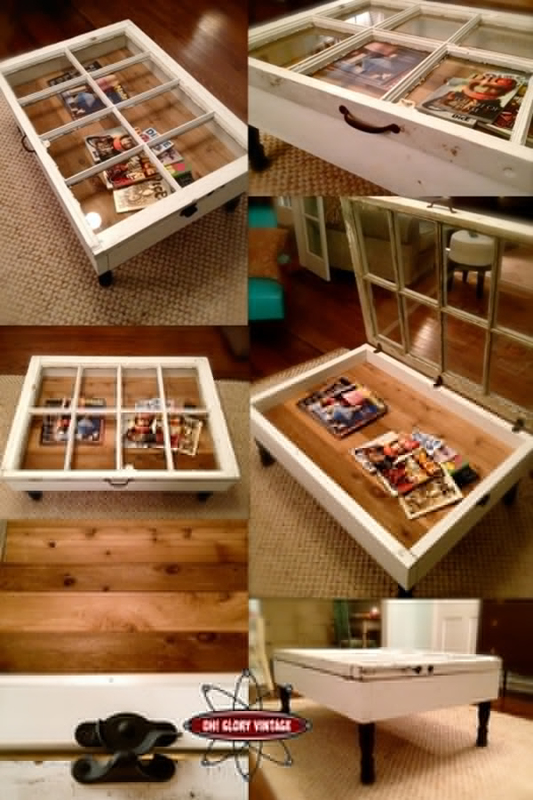 You have seen so many round-ups of coffee tables and I am sure you were impressed by some while others are just so-so but what if you see a table that was made by the owner? I mean, the type that wasn’t brought from a furniture store but was done from scratch or maybe an old item was transformed into a table or an old table was improved into a chic home item. Well, whatever that is as long as you can save money and it looks great in your interior, it would be a winning coffee table! 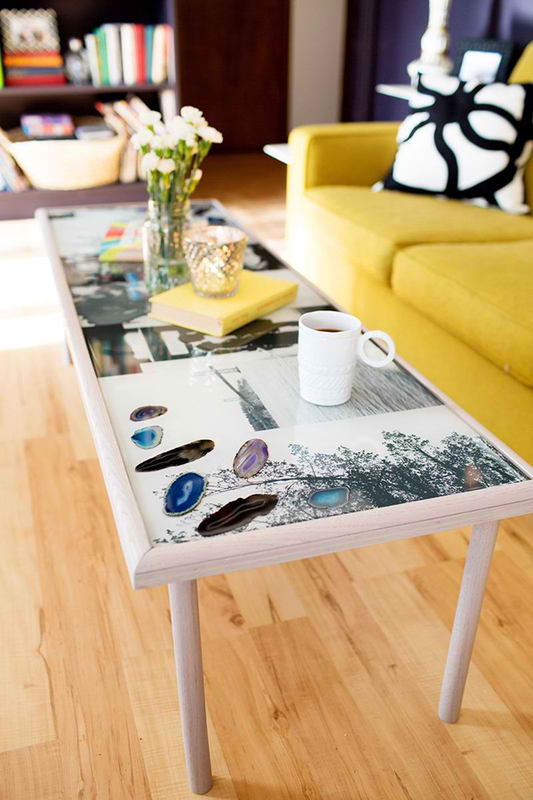 So, if you want to try making your own coffee table, you can do that through the tutorials you will see below. 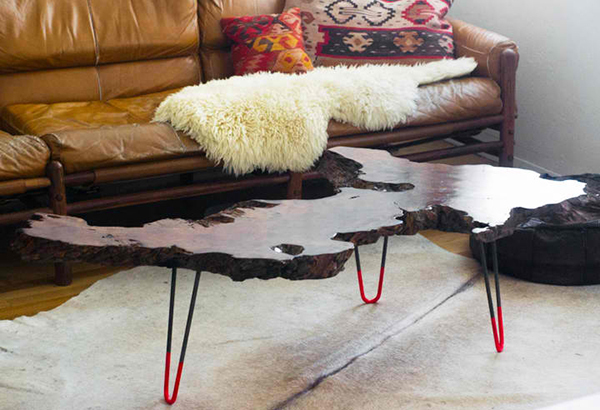 Yes, this isn’t just a list of beautiful DIY coffee tables but you can also see how these are made through the links that go with them. 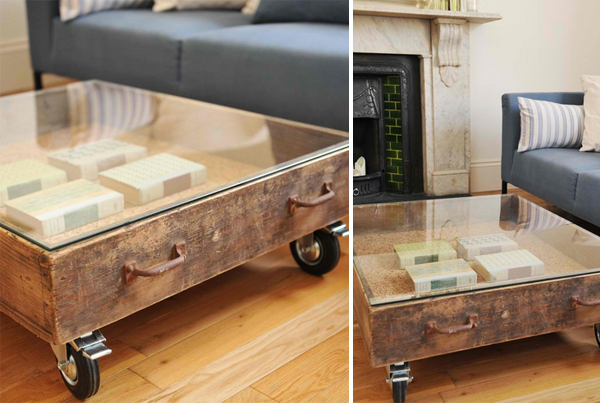 The good news is, you will save a lot of money and you will surely be impressed with how these coffee tables turned out. Check them out! 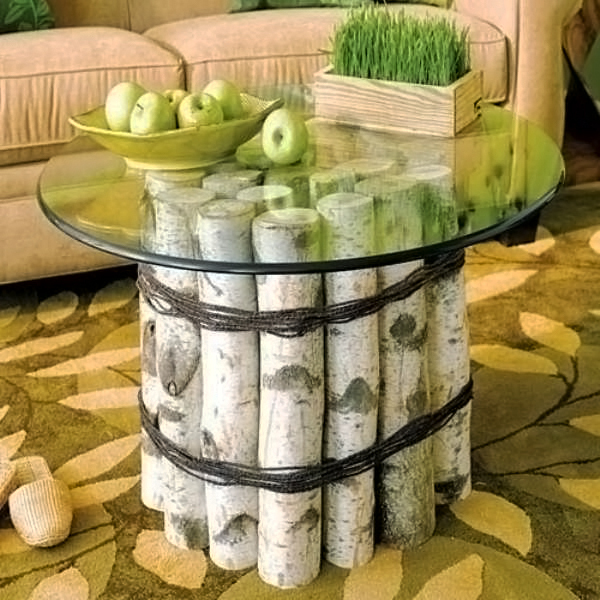 Gather some logs and tie them together then add a glass top. Just be sure that you tie them well! A wooden slab with an irregular shape was fastened on top of hairpin legs. The legs got that neon paint with a dipped design. Instead of just laying the pallets straight, why don’t you give it a design like this one? Before, this table had glass on it. 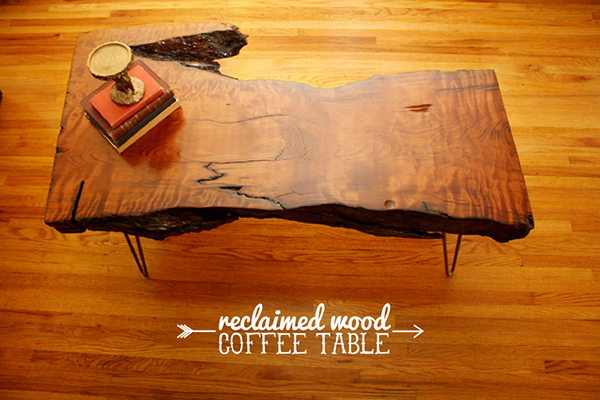 Now, it used wood turning it into an industrial table. 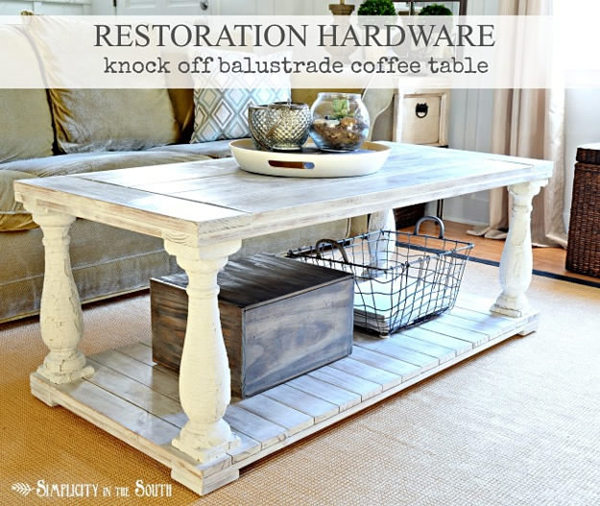 A shabby chic coffee table with balustrades on the corners. I love this! 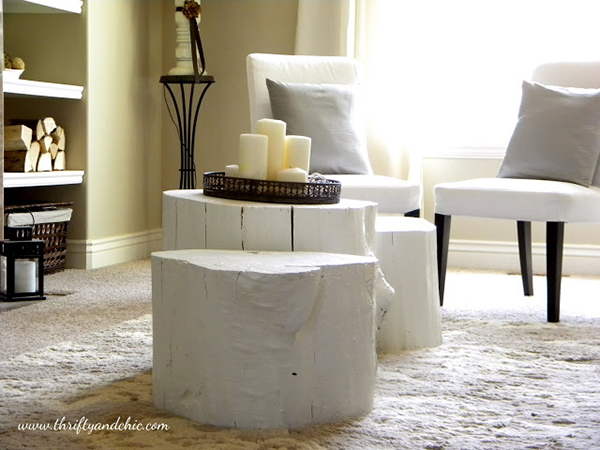 If you have tree stumps around the yard that are left unused, get them and paint them white like this! Got a window that you no longer use? Turn it into a table! 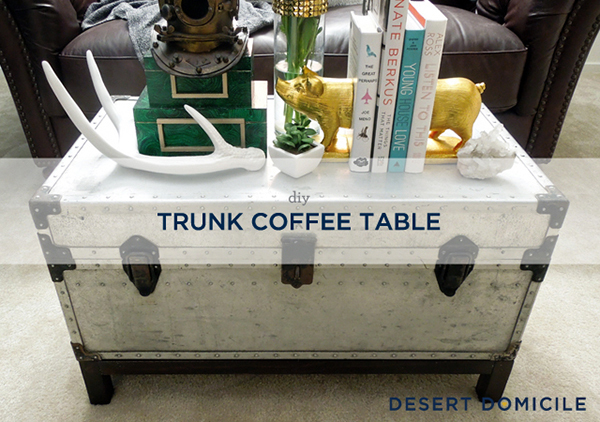 A trunk can be transformed into a coffee table by merely adding legs on it. 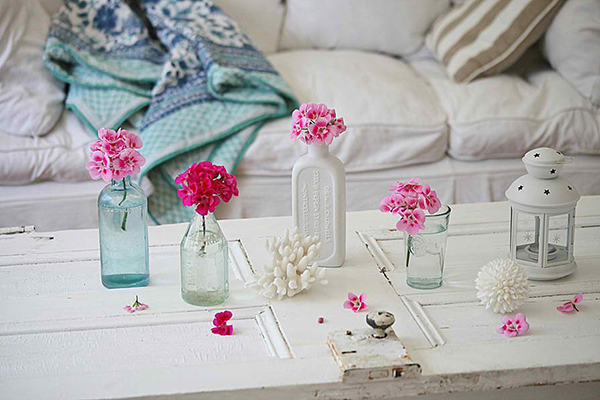 A table would look lovely as a table and is definitely fitting for a shabby chic interior. Even a drawer can look nice as a table. It even doubles as a storage space too. 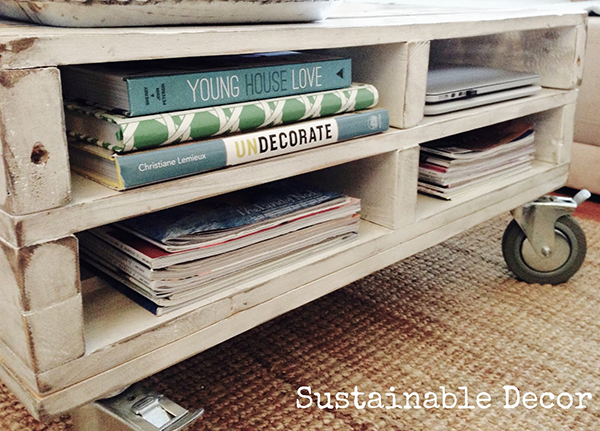 A pallet coffee table is also perfect for keeping magazines and books. Another approach for a pallet table with colored balustrade legs. 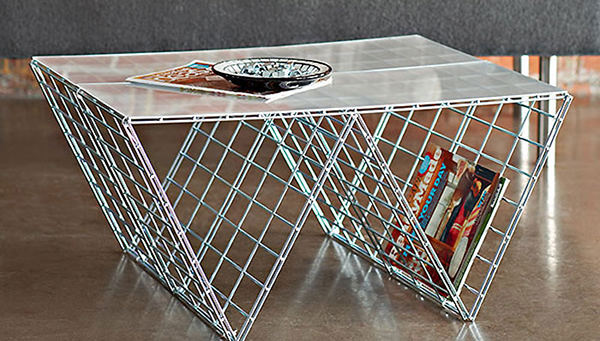 Simply connecting wire decks with cable ties will create an industrial looking table. Finish it with an acrylic sheet top. 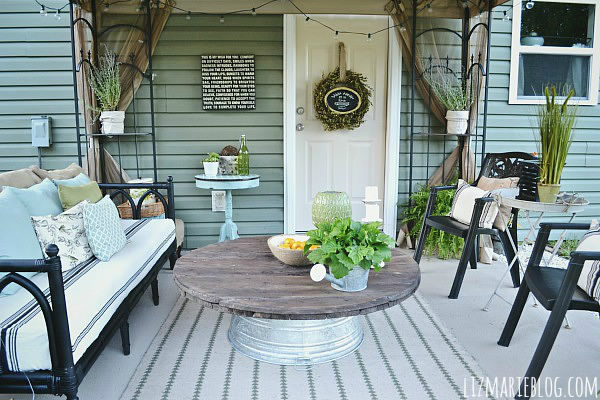 A metal tub topped with a round wood could mimic the look of a spool! 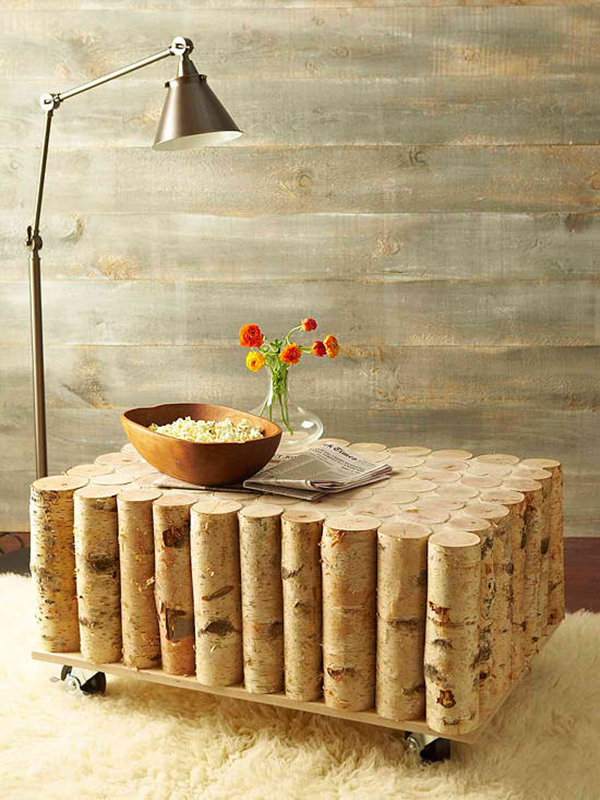 A nouveau-rustic furniture using logs that are brought together. Pretty! 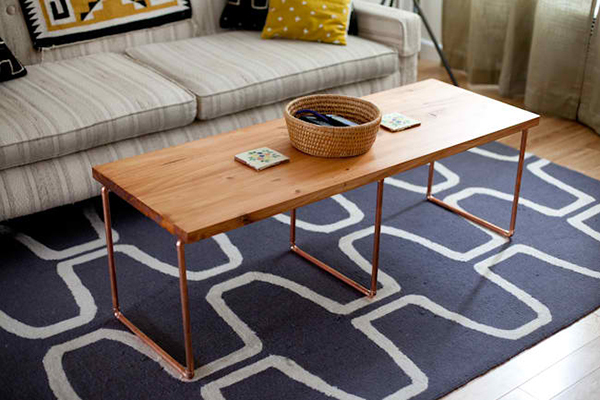 Attach some copper pipes to a wooden top for a chic looking modern coffee table. 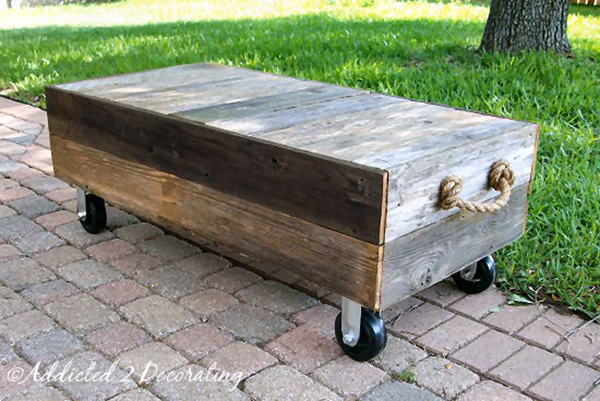 Combine different types of wood to create the box for your cart like coffee table. Don’t forget to add the rope! 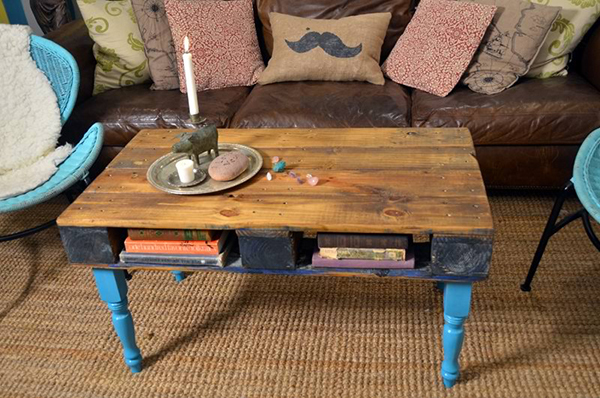 Polish a reclaimed wood and add some hairpin legs to it. It will surely be an interesting piece. 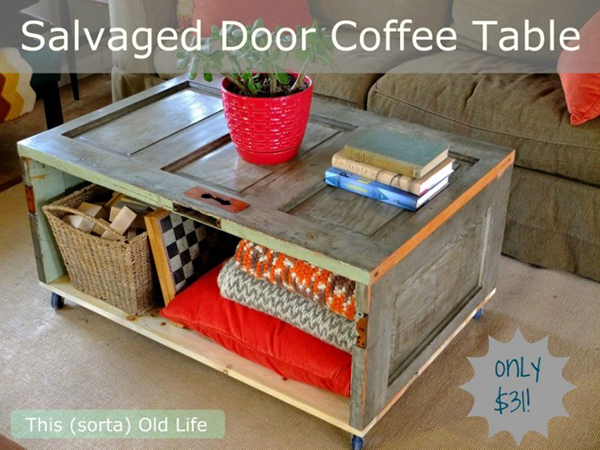 Another version of a door coffee table. This one has a storage space under it! This is very pretty! I so envy this table. I wish I could make one for myself too! 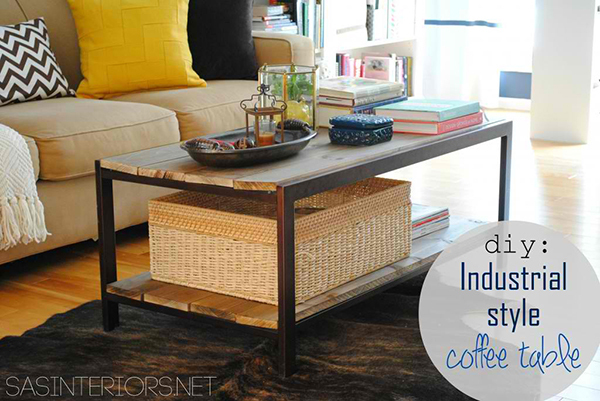 Now, after seeing this list, you will no longer worry about getting a coffee table for your home. 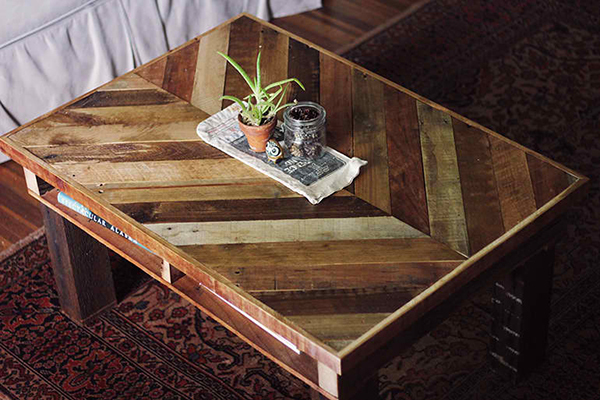 If you can’t afford a dream table, then make something similar to it just like what the creative people who made their own coffee tables featured in this list. But you can always buy a coffee table if you want to. Anyway, each of us has different design preferences and ideas about getting furniture. Purchased or made, what is important is that it is functional and beautiful.